Houston we have a problem..... A different kind of sea awaits. We leave Costa Rica and travel to the USA for our required 90 day exit and re-entry visa. Plan to see the Grandmas, the Easter Bunny and lots of mail. 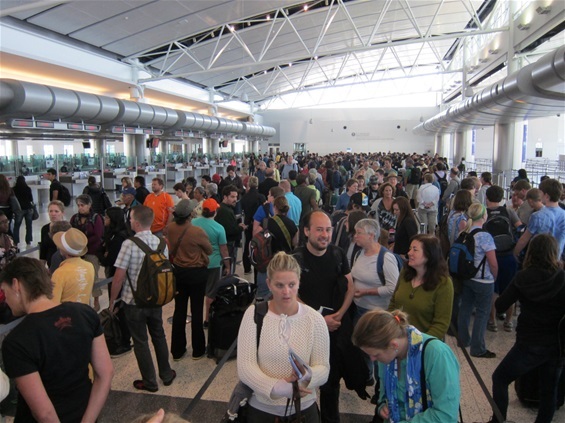 Didn't expect this sea of people at customs in Houston, and I guess they did not expect to see us as only 2 lines where open.